Only one week to go, and we’re here with our Group B preview for the 2010 World Cup – Argentina, who rely on Messi carrying them on their back and Maradona not messing things up en route to a third World Cup trophy (the optimistic fan talking), Nigeria hoping that the usual chaos surrounding the squad and filling their matches on the pitch brings a second place finish, Greece with their usual Rehhagel style of play hoping to bulldoze their way through and South Korea dreaming of another 2002. A super striking force, led by the best player in the world – will it be enough for a third World Cup trophy for Argentina? Not sure, probably not. Argentina don’t have a world class (or probably close to that) goalkeeper – Diego Pozo, Mariano Andujar and Maradona’s favorite, Sergio Romero who plays for AZ. Romero is the most experienced on the international stage with 6(!!) caps. Maradona decided he doesn’t need Javier Zanetti, and an already questionable defense will lack one of the more versatile players out there, despite his advanced age. The Champions League this year showed Zanetti should be in the squad. Now, will Diego go with a 3-5-2 (like against Canada in the warm up) or the 4-4-2 that wasn’t very effective during the qualifiers? In order for him to succeed, despite not fancying the tactic, he must play a 4-3-3. His best player is Messi, and he must play the tactic the benefits Messi the most. He has plenty of talent upfront (Milito, Aguero, Higuain, Tevez) to switch around in the other two forward positions, just create a role for Messi that makes him happy and free. Without Messi in a Barcelona like form, Argentina won’t go very far. The midfield is good, but not super. Cambiasso, who had a fantastic season with Inter, was left out, leaving him with Mascherano as the stopper and Veron as the play-maker. I don’t think that’s enough against the best in the world. 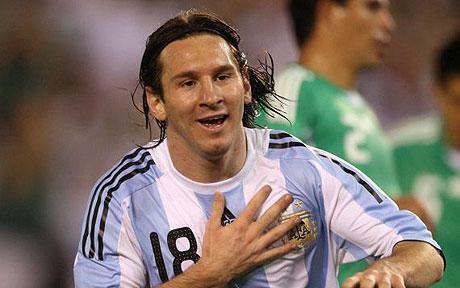 Still, Argentina will finish first in Group B, but it’s very hard to see how far they’ll reach. A latin derby with Uruguay or Mexico could come up in the next round, and we’ve seen Argentina struggle constantly against their continental rivals during the qualifying stage. If Maradona/Messi take them into the Semi Final, it’ll be a huge success. 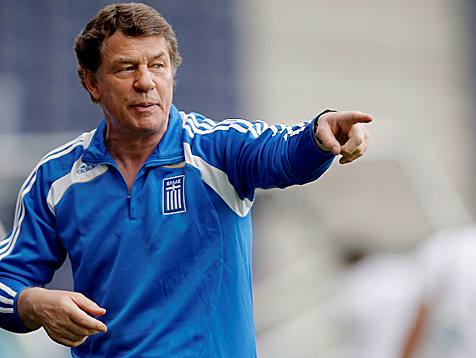 Players come and go, but Greece’s national soccer team is shaped after her manager of the last nine years, Otto Rehhagel, the man who led them into European glory in 2004, shocking (and disgusting) Europe by winning the 2004 Euro with very “negative” play. He has now led them to their second World Cup (first in 1994) to a group that is very similar with the one they faced in the United States (Argentina, Nigeria, Bulgaria). From the eleven starters in the historic final in Lisbon only four players will head to South Africa (Seitaridis, Karagounis, Katsouranis and Charisteas). That doesn’t mean the team is actually different. The style, which also brought Greece to the 2008 Euro (performing miserably, losing all three matches, as Europe and “purists” got their revenge) brings the Greek team relative success. It got them through, barely, in the 2010 qualifiers, holding off Latvia’s and Israel’s challenge, finishing second behind Switzerland. They’ll be physical and defensive, ugly if needed. Their poor showings in the warm up matches will only get them to dig deeper within their own familiar style. And with a weak group (besides Argentina), it just might be enough to finish second. Hopefully, for the neutrals sake, they won’t. As usual with the African teams, and Nigeria especially, you never know what you’re going to get. A team bolstered with talented players but as always, a lack of discipline on the pitch and many times off it leads to a disappointing end. Shaibu Amodu brought Nigeria from the brink of elimination after Berti Vogts used his Midas touch on another national team, successfully guiding the Super Eagles past Tunisia and into the 2010 World Cup. Like in 2002, Amodu bad relationship with the Nigerian FA and Nigeria’s disappointing performance in the Africa Cup of Nations led to his dismissal. His successor? Swede Lars Lagerback, who was Sweden co-manager and by himself as well from 2000-2009, until he failed to lead the Swedes into the 2010 World Cup, their first omission from the tournament since 1986. Since his arrival, Nigeria haven’t played any fancy opponents, beating Congo 5-2 and drawing with the Saudi’s and the Colombians. 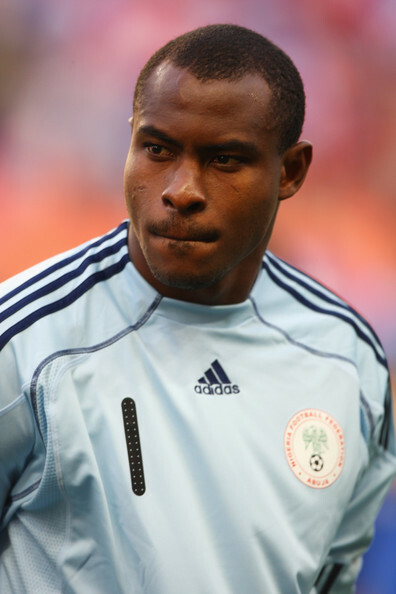 If Lagerback can install some team spirit and team play into the team, which usually looks like ten men plus a goalkeeper who plays in Israel (all three keepers play for Israeli clubs, despite the huge interest Enyeama draws each summer from different European clubs) who are trying to score by themselves. The attack is talented, with Obasi (hoffenheim), Obafemi Martins, the recuperating Yakubu, Odemwingie and Victor Obbina but Nigeria’s lack of strength in the midfield (John Obi Mikel, despite all of Chelsea’s hopes, still isn’t Michael Essien) and defenders that tend to make mistakes or just forget they need to defend (Taiwo of Marseille, although he does have a killer left foot), make Nigeria a team that’s always a joy to watch but never surprising to watch them lose, even to inferior opponents talent-wise. While preparing in Asia during the final week of May, the South Koreans, who’ll be making it to their 7th consecutive (8th overall) World Cup tournament, things went well. They beat Ecuador 2-0 and then bitter rivals Japan, another World Cup participant 2-0 again. In the hills of Austria, things have been less cheerful, losing to lowly Belarus 1-0 and yesterday, despite having some good moments, losing to Spain after a fantastic Jesus Navas goal in the 85th minute. Unlike Nigeria and to some degree Argentina – South Korea are a team, disciplined, trained, predictable. Their star player is Ji-Sung Park, and despite being one of the hardest working players you can find, he’s no star. It seems Korea will play with something resembling a 4-4-1-1, with the striker position still up for grabs, but it will probably be Park Chu-Yong (Monaco) who’ll be the target man. Mostly based on players from the K-League, it’ll be very surprising if the Koreans make it into the second round. They needed a home tournament and Guus Hiddink’s golden touch to do it in 2002, the only time they’ve made it out of the group stage.